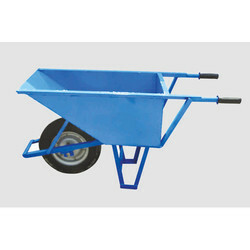 We manufacture concrete trolley from 16 gauge M.S.Sheets, Angles, Pipes, Air inflated Tyres etc. Our trolley is used to transport concrete mix on lift and on ground. We can produce trolleys in capacity of 2.5 and 4.5.